You can "Run" it, but will you want too? Crysis 2 is a visually pleasing game. OK it is a REALLY visually appealing game, but as you know that is only a portion of what makes a game great. Crytek has utilized their CryENGINE 3 to create a game that looks, feels, and plays very differently from the slew of first person games out there. PC players can still max out the settings and enjoy the benefits of a mouse & keyboard, but now console players can experience the story of the nanosuited soldier Prophet and the battle to save humanity in the Big Apple. I didn't play the original game, but I did know that players were able to move about a tropical Island and utilize the features of the nanosuit, an elite state-of-the-art weapon the grants the wearer a level of strength and speed that no regular soldier can match. The suit returns with Crysis 2, and allows you to upgrade it's default abilities which you can swap out at any time to better suit a combat situation. Your main go-to abilities are mapped with the bumpers and allow you to cloak yourself to sneak through areas undetected or maximize your armor to withstand more bullets and get a quick escape. It was rare for me when in combat that I didn't use my abilities. 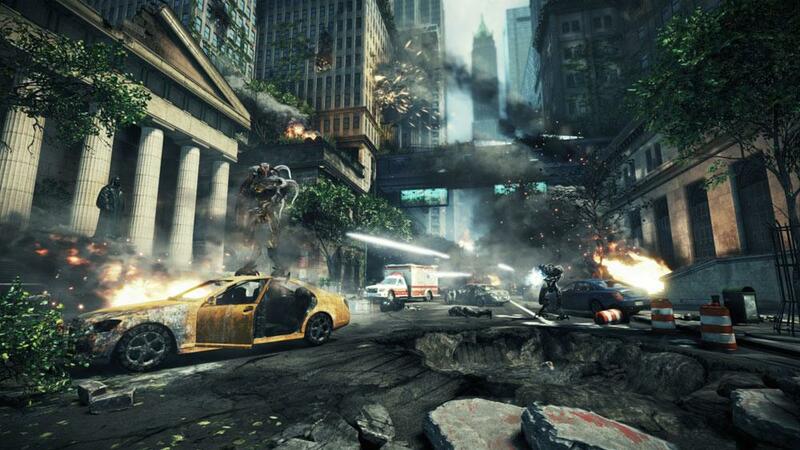 Crytek has made a gameplay element that is pretty critical to their game. Story-wise, the game is an epic battle to save humanity, while also covering an conspiracy that relates to the main characters you'll come across in the game. As Marine Alcatraz, you'll encounter Prophet, the man using the Nanosuit in the early part of the game. Believing you can accomplish what he couldn't, Prophet lets you use his suit to help complete his mission. While in the suit, Prophet's contacts mistake you for him and assume you're up to date on the mission. Only you meet up with a few of them, they'll eventually learn you're not the real guy, but come to understand why Prophet chooses you. It's a pretty engaging story that is surprisingly lengthy for a shooter. I'd say it took me about 10-12 to get through, but I had to stop many times due to frustration with the checkpoint placement and difficulty. 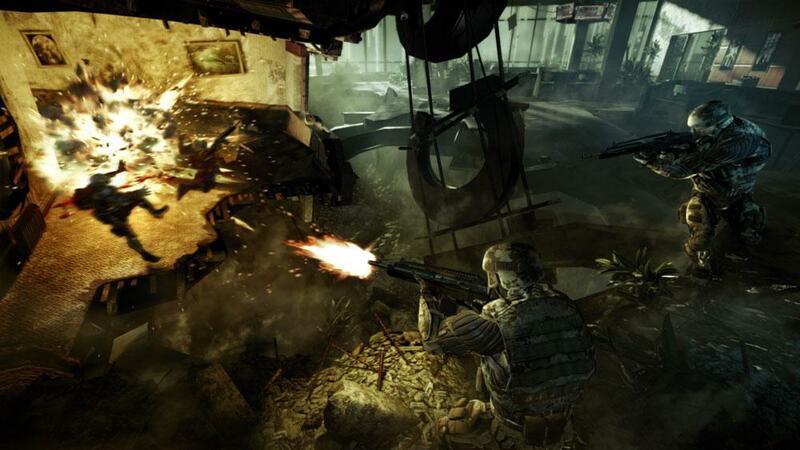 For the multiplayer side of Crysis 2, it's a familiar formula that Crytek follows. There is a persistent ranking system here that rewards players with new unlocks and the ability to tweak classes once a certain requirement has been met. The nanosuit adds some interesting gameplay to the multiplayer formula as well. Players can cloak and maximize armor as with the campaign, which can create some interesting combinations with weapons. You could cloak and find a place to snipe, or maximize your armor while wielding an light machine gun. 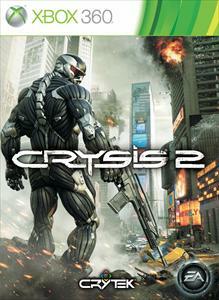 Overall, multiplayer is a fine addition, but I enjoyed the campaign of Crysis 2 a bit more. 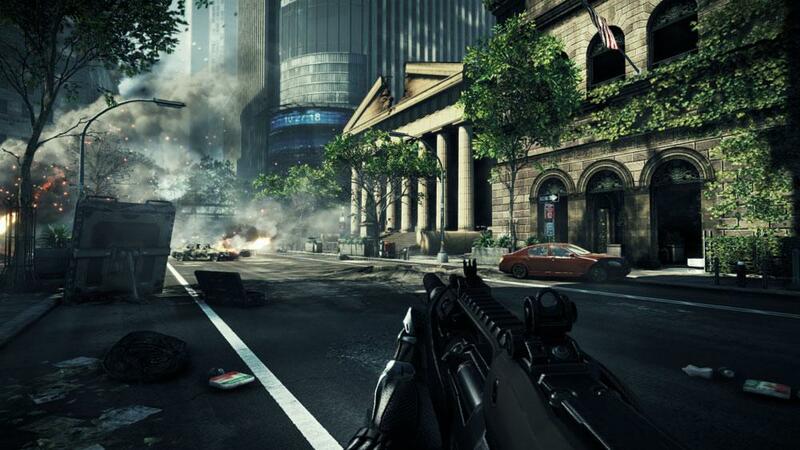 Crysis 2 is a great game. It's a visually impressive game on consoles, and comes packed with solid gameplay and multiplayer. The nanosuit mixes up combat a bit, and can change your tactics when dealing with the various enemies you'll face. In my own opinion, it's definitely worth picking up.